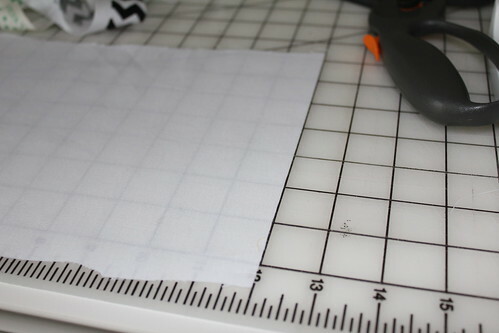 As soon as I bring home a newly purchased fabric, I cut off the printed selvages, including an inch or so of the print. I keep the selvages in a basket where they stay until needed. I use a foundation on which to sew the selvages. 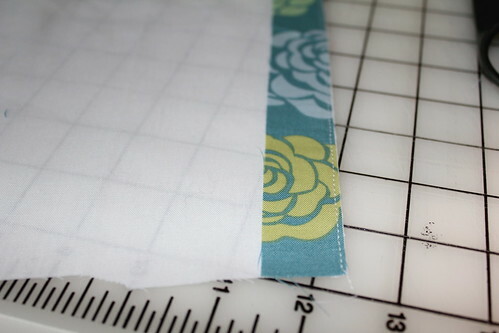 For this project, I wanted a 6" wide finished panel so I rough cut a 7" wide piece of muslin to work on. It is important to keep square while working in these. To help with this, I squared off the end of my foundation. This step is optional however, I know that the first selvage on a foundation panel will most likely be cut into for trimming or squaring or, it will be burred within a seam. 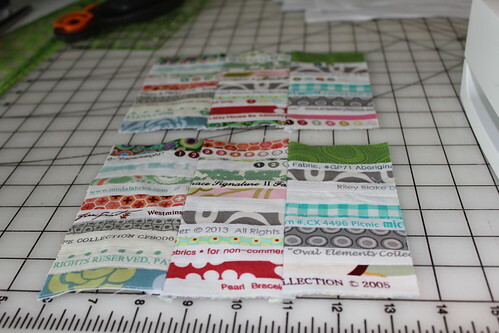 In light of this, I like to start off using a plain strip of fabric so as not to waste a selvage. 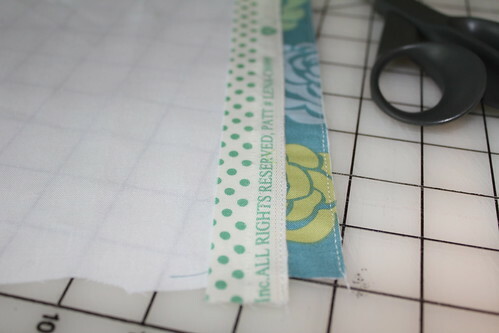 Whether using a selvage or a strip of fabric, align the lower edge with the lower edge of the foundation. 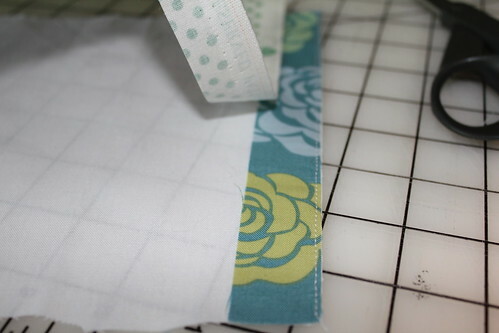 Sew the strip onto the foundation close to the lower edge. Keep in mind that your stitching will remain visible so be sure to use a thread color that you like and a stitch length that you like. Place the next selvage onto the foundation, overlapping the previous selvage sufficiently to secure its raw edge. Sew the selvage close to its lower edge, just as before. Continue sewing on additional selvages. 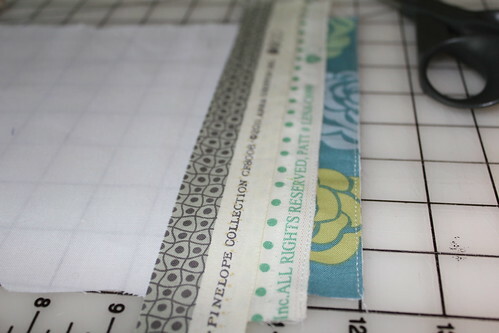 Continue sewing on additional selvages, checking occasionally for squareness. Unless you are way off, just correct your squareness on the next selvage if need be. 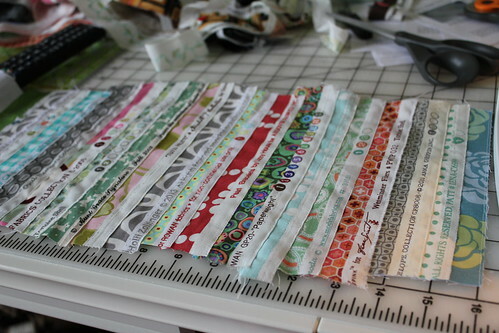 After-all, you are just working with selvages so being super perfect is not really necessary. Keep going until you have enough for your project. It goes faster than you might think. This was enough for what I had in mind and just took a few minutes. Press and trim to your desired width. 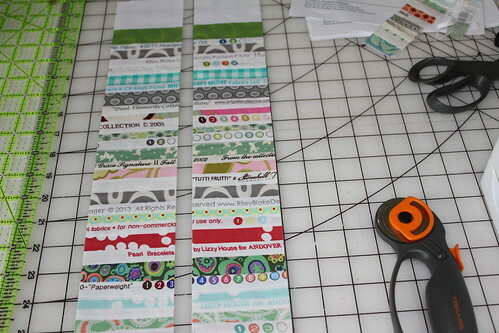 In my case, I trimmed to a 6" strip then cut it in half to make two, 3" strips. 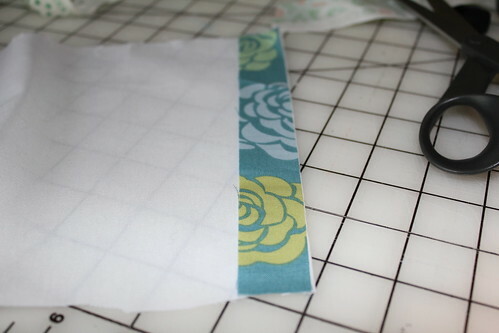 Then I cut the strips into shorter sections. 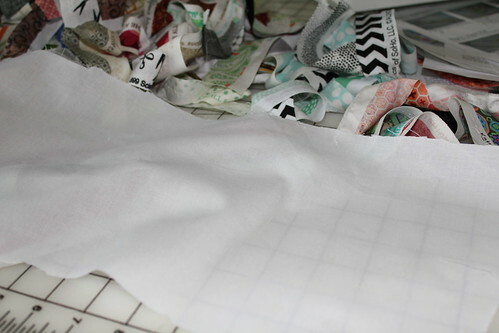 Then I sewed the sections together. Then I made this!!! How much fun was that? There is no end to what can be made with selvages. If you'd like a chance to win this selvage wristlet, just leave a comment by 7:00 pm Eastern on June 26, 2013 as well as a way for me to get in touch with you. I'll randomly select a winner and will be in touch shortly there after to receive mailing instructions. Best of luck! That's so lovely! I've been saving selvages, too, but wasn't sure how to put them together - thanks for the tutorial! Fabulous! I'd love to win that great pouch! I've let my Guild members know that I use selvages, so some ladies have started to bring them to me. Thanks for the tutorial, I've been saving my selvages but didn't know how to use them. 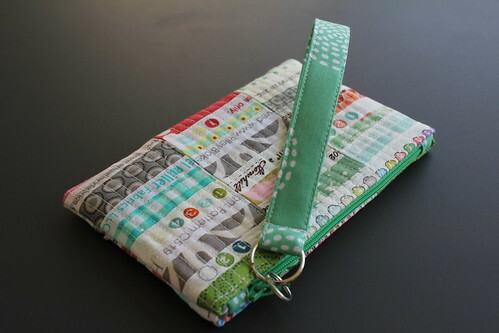 Your selvage pouch is so adorable, thanks for the chance to win it! Barbara: Thanks!! I love the tutorial and the wristlet is SOOO adorable! So that begs the question for tutorial on the wristlet?? Just kidding. Seriously, thank you so much! 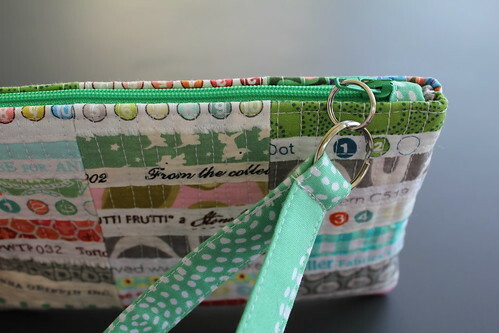 What a cute wristlet you've made! Thanks for the beautifully written tute! Love the wristlet! Thanks for the great tutorial and the giveaway opportunity. Omg! I love this wristlet! I sew many things but rarely something for myself! Silly me, never thought to keep those salvages.....so I thank you for a wonderful idea! Thanks for the how-to! I am slowly collecting all my selvages in a tall Ball jar. 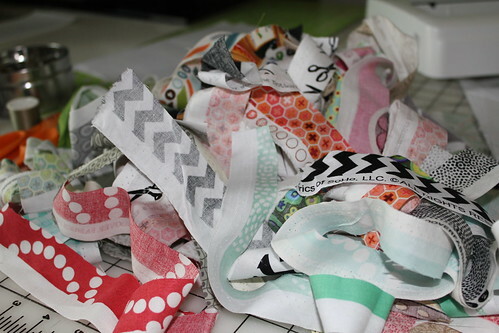 I've been unsure as to how to go about sewing them all together for a project, but now I know how. So thanks! The wristlet is adorable. 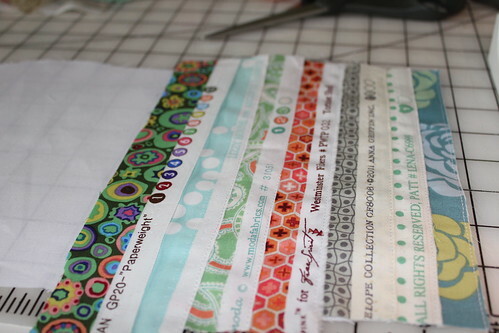 Thank you for the tutorial, it was helpful to see how easy it can be to use those quirky selvages. Thanks for the generous giveaway. Just love that wristlet! I just found you.